In 1990, the State of Washington passed the Growth Management Act (RCW 36.70A). The legislature determined that uncoordinated and unplanned growth, together with a lack of common goals expressing the public’s interest in the conversion and the wise use of lands, posed a threat to the environment, sustainable economic development, and the health, safety and high quality of life enjoyed by residents of the State of Washington. The legislature also found that it would be in the public interest that citizens, communities, local governments, and the private sector cooperate and coordinate with one another in comprehensive land use planning. Cities and Counties with a population of over 50,000 and/or a rate of growth exceeding the state guidelines are required to plan under RCW 36.70A. Cities and Counties with a population of under 50,000 and having a growth rate under the state guidelines may also choose to plan under RCW 36.70A if they so desire. 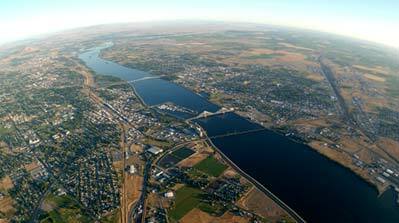 In 1991 Franklin County opted in to the Washington State Growth Management program. 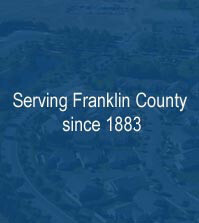 In January 1993 the County began developing its program in earnest with the preparation of a questionnaire which was circulated to all of the residents of Franklin County. The purpose of the questionnaire was to inform county residents about growth management while in turn learning what the county citizenry thought about varying land use issues. The questionnaire asked county residents to tell those writing the plan what sort of county they wanted to live in, what kind of housing was needed, what their housing situation was and what types of alternative housing would be appropriate. The questionnaire also asked residents what they felt were the strengths and weaknesses of the county, what they would like to see changed and what they would not like to see changed. It asked about county services, how they felt about agriculture and preserving natural resources. It asked about the economy and what they felt was important related to jobs and the trade-offs that can be associated with aggressive economic development. The questionnaire asked for the respondents to provide their vision of the county that they wanted to live in. There was a ten percent response rate for this questionnaire. Once the questionnaire was returned it was tabulated and analyzed and the results were written up for a series of presentations that were scheduled across the county. In order to be assured that input into the Comprehensive Growth Management Plan was also coming from the small cities, Connell, Mesa and Kahlotus, special informational gathering sessions called “one-on-ones” were held. These were conducted by Planning Staff and involved meeting with key officials and citizens in the community to obtain their input on a number of questions that were asked of them. Each session lasted approximately 30 minutes. They were asked some of the same questions that had been asked on the questionnaire, but more specific to their community. In addition to people from Connell, Mesa and Kahlotus being interviewed, residents of Basin City, an unincorporated urbanized area in Franklin County, were also interviewed. As results of these questions and questionnaires were tabulated and analyzed public meetings were held across the county to inform the communities of the input received. At that time, Franklin County launched an extensive public participation program in order to obtain the maximum amount of citizen participation to develop the best possible Comprehensive Growth Management Plan for this area. A series of four pubic meetings were held in the Northwest, Central, Northeast and South Central parts of the County. These meetings were advertised in the major newspapers and posted in convenient locations throughout the County. During this time draft goals and objectives were formulated and reviewed by those at the meetings. After the first round of meetings a Vision Statement was prepared and during the next round of meetings it was reviewed and rewritten to reflect the attitudes of the people at the meetings. In formulating the plan a great deal of effort went into obtaining input from the public. In addition the Public Utilities, Irrigation Districts, School Districts and other units of special purpose Governments were called upon to provide the county with information necessary to prepare Franklin County’s Comprehensive Growth Management Plan. In 1995 Franklin County completed and adopted their first Comprehensive Growth Management Plan as required under RCW 36.70A. For a community’s plan to be effective, it must continue to evolve. A comprehensive plan that remains relevant will allow the community to address and benefit from new information and trends. This is why the Growth Management Act (GMA) requires that comprehensive plans be subject to periodic review. Franklin County is required to review its comprehensive plan every seven (7) years and was required by the State to complete a full period review and update of its original GMA Comprehensive Plan by the end of 2007. To begin this Update process, in 2003 Franklin County entered into a contract with the Benton-Franklin Council of Governments to obtain assistance in the development of the County’s Update to its Comprehensive Plan. In the fall of 2004, numerous public workshops and informational meetings were held to review and discuss draft topics. These workshops were held in Pasco, Mesa, Basin City, Connell and Kahlotus. Both the Planning Commission and the Board of County Commissioners also held numerous workshops with the public and Planning Staff to discuss the land use issues affecting the County and its future. Official Public Hearings were held in Pasco and final adoption of the County’s Update to its Growth Management Comprehensive Plan occurred in June 2005.